Bible Journaling Journey – Open the Word. Open your heart. The Bible Journaling Journey begins. FeaturedPosted on March 25, 2019 March 25, 2019 Categories Bible JournalingTags Easter, Lent, Memory Making Mom, Resurrection Eggs, The Artisian Collection Journaling Bible, traditions2 Comments on Have You Heard of Resurrection Eggs? FeaturedPosted on December 27, 2018 December 27, 2018 Categories Bible Journaling, Christmas, UncategorizedTags Advent, Christian, Christmas, Christmas traditions, creative holiday season, Elizabeth in the Christmas story, Hallmark Christmas movies, how to observe Advent, inspiration, mindset, wisdom1 Comment on Christmas is not over! FeaturedPosted on August 24, 2018 September 1, 2018 Categories UncategorizedTags Andy Stanley, Christian, giveaway, inspiration, mindset, podcasts, Tori Kelly, what to listen to, Your MoveLeave a comment on Looking for Something That Will Renew Your Mindset? FeaturedPosted on August 8, 2018 August 16, 2018 Categories Bible JournalingTags Bible Journaling, Emily Dickinson, hope, I Am: A 60-Day Journey to Knowing Who You Are Because of Who He Is by Michele Cushatt, Romans 3:3-52 Comments on Hope is the thing . . . Here comes the giveaway that I mentioned when Bible Journaling Journey launched last month. I am giving away a Journaling Bible or a gift card to a store of your choice. Simply follow my blog, and leave me a note on my contact page that includes your name and the best way to get in touch with you. Also let me know if you want the Journaling Bible or a gift card. I will draw a name on May 31. While you’re emailing me, I would love to hear about you and what you might be interested in learning about on Bible Journaling Journey. Even though Bible Journaling Journey is not on social media, I will give you extra entries if you let me know you’ve shared the site (or this giveaway) in some way online. Thanks for entering! FeaturedPosted on May 8, 2018 May 8, 2018 Categories Bible JournalingTags Bible Journaling, Bible Journaling Challenge, Bible verse about delight, Hephzibah, Isaiah 62, she portraitLeave a comment on Do you know what Hephzibah means? 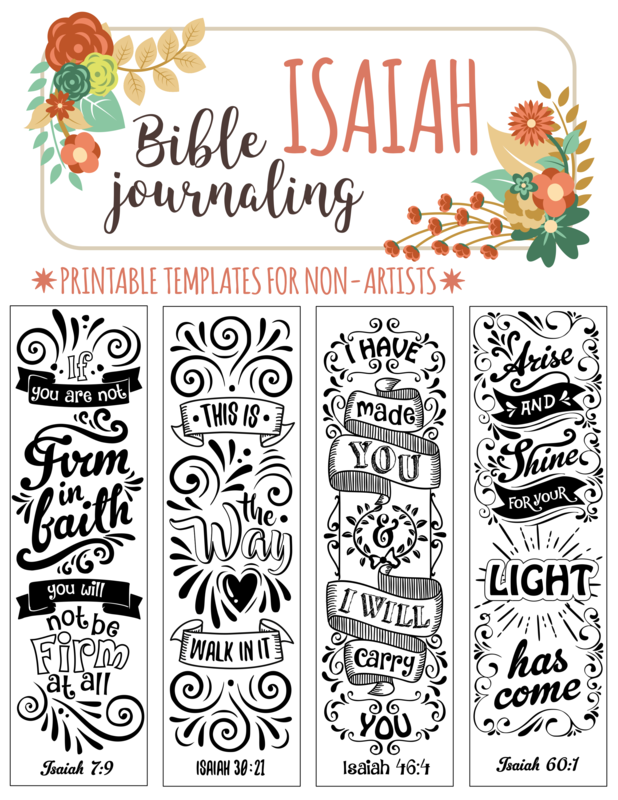 FeaturedPosted on April 25, 2018 April 25, 2018 Categories Bible JournalingTags Bible Journaling, Flourish Bible Journaling Conference, Free Conference, Free printable2 Comments on Check This Out!